I received a very interesting message from a cousin recently that I wanted to pass along – especially to those with a TRARES connection. On January 13, Br. James-Peter Trares, O.P., sent me an email message expressing his interest in connecting with any TRARES relatives who live in either the St. Louis or Edwardsville, Illinois area. Br. 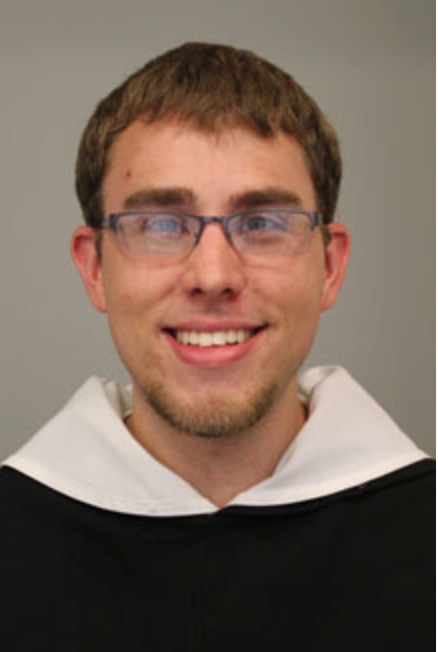 James-Peter is a Dominican who is based at St. Dominic Priory in St. Louis, Missouri. James-Peter is his religious name, taken when he entered the Dominican order. His baptismal name is James Michael Trares. He is the son of George TRARES and the grandson of John Lewis TRARES and he grew up in Shalersville, Ohio. Br. James-Peter pursued studies in liturgical music and theology at Aquinas College. At the moment, he is studying for ordination. You can learn more about the friars and their activities by visiting their website. According to the website, Preachingfriars.org is a collaboration between the Dominican Student Brothers of St. Dominic Priory in St. Louis, which is comprised of members of the Province of St. Albert the Great (Central) and the Province of St. Martin dePorres (Southern). The friars are a community of both clerical and lay students who study for the priesthood and future ministry at the Aquinas Institute of Theology. Begun in 2010 as a way to promote the weekly Vespers preaching of the friars, the site has been expanded to include reflections, videos and theological discussions. I’ve wanted to share that I’ve enjoyed perusing the posts on the blog about the family. I’m particularly interested in the connections with John Sebastian TRARES who moved to Missouri/Illinois. I’m currently living in St. Louis myself, in formation to be a priest in the Dominican Order. From what I can tell, I’m only about a half hour’s drive from Edwardsville, Illinois. It would be neat to connect with this “lost” branch of the family and discover some distant relatives in the area. If you have connections with anyone from this line, I would love to get in touch with them. My parents have all the family history records, most from my grandparents and others who have compiled the work. It was also interesting to read the remarks from Christoph Trares in Germany. I had heard before (maybe it was from him then, too) that TRARES had a Spanish connection. It would be wonderful some day to go to Germany myself and look him up. In any case, feel free to pass my email along to anyone you think might be interested in connecting with me. These things are just fun. Anyone interested in contacting Br. James-Peter can send an email to Knapp Notes requesting his contact information. I won’t post it online as I don’t want his mailbox flooded with spam. This entry was posted in Family History, Trares and tagged Br. James-Peter Trares, Dominicans, Preaching Friars, Trares. Bookmark the permalink.